My Mystery Dip…REVEALED! | Keep It Up, David! You must be on the edge of your seat! The moment you’ve been waiting for is finally here. 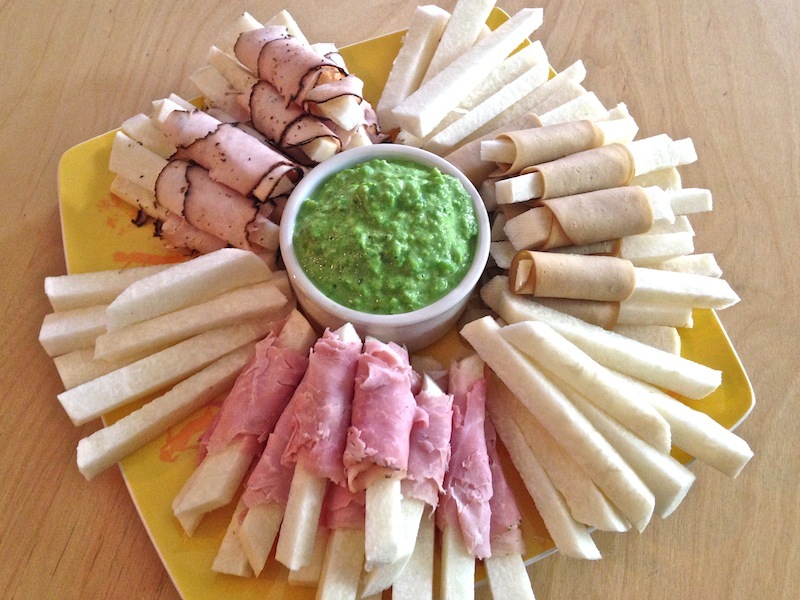 I ended my last post with a tantalizing cliffhanger: what kind of dip would I serve with my jicama and cold cuts platter? The answer is about to be revealed. Sorry, sorry… that was one of the storylines from NBC’s Passions in 2006-07. There’s really no need for any further recap. Let’s make a dip! 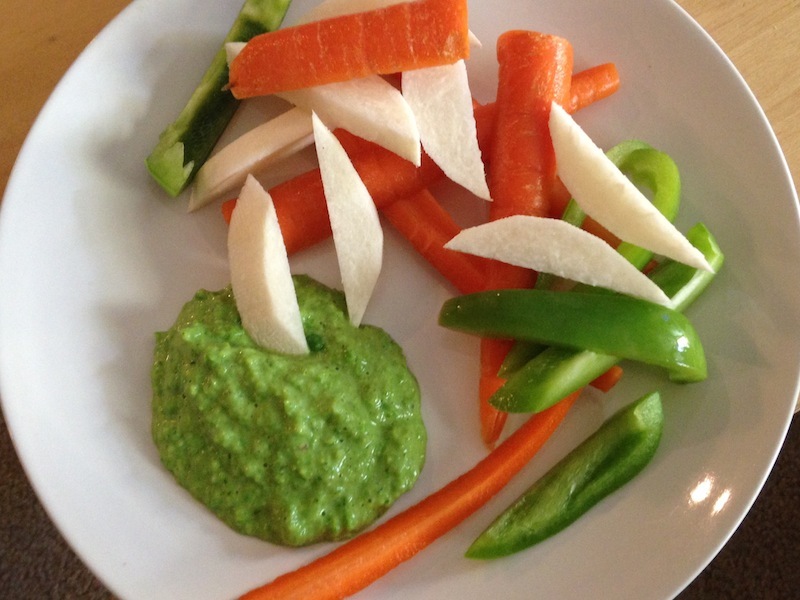 And let’s make it a Minty Pea Dip! 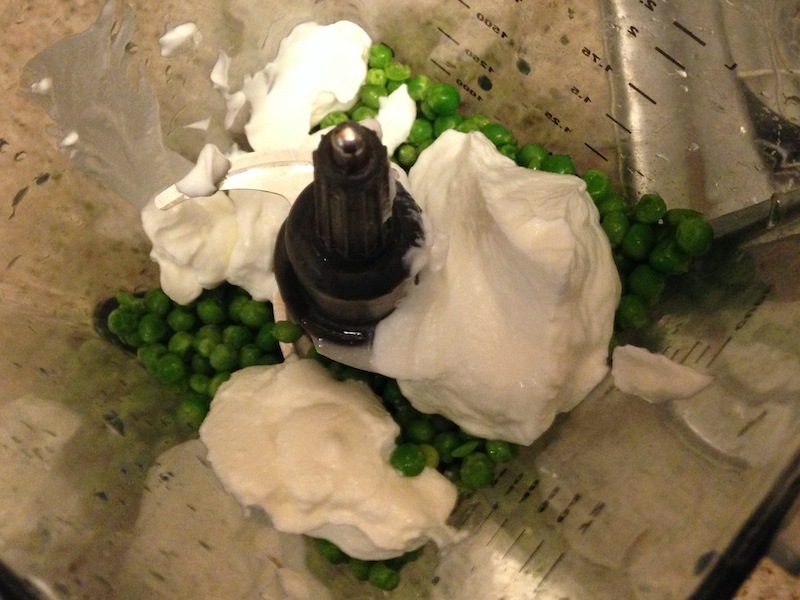 …then add one 5.3 ounce container of non-fat plain Greek Yogurt. Look at that! This is the second recipe I’ve shared this week featuring nonfat plain Greek yogurt! (Click here to read the first, and then click here to visit my Recipes page!) I try to always have nonfat plain Greek yogurt in the house. It’s high in protein, low in calories, fat-free (d’uh), and I love how versatile and tasty it is. 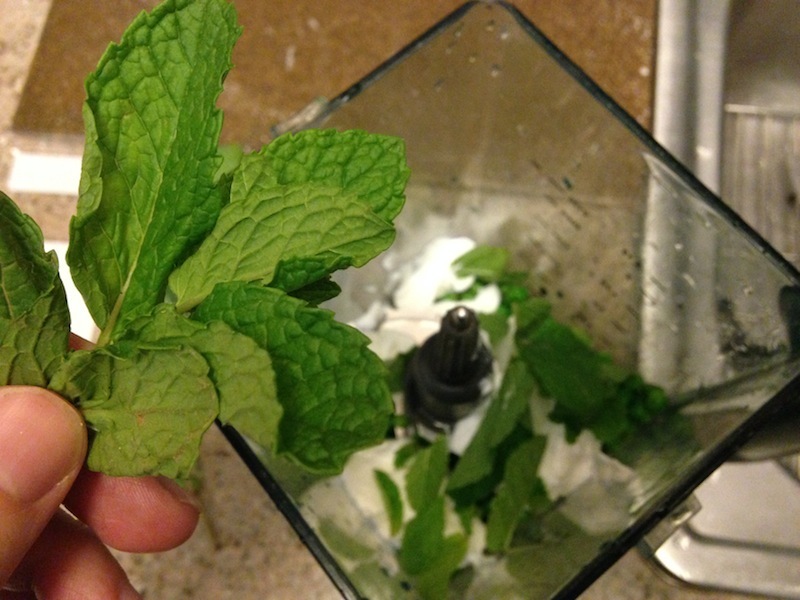 Next in the blender: two dozen fresh mint leaves. 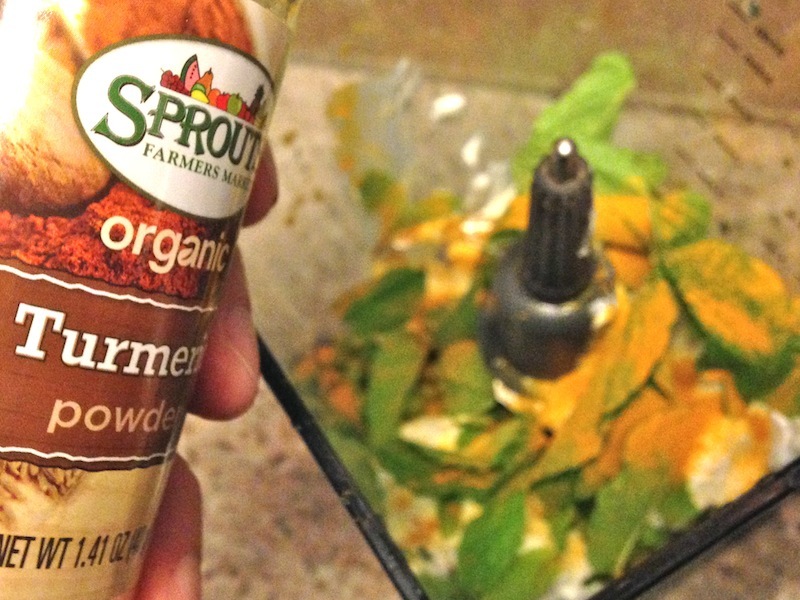 Lastly, a liberal sprinkling of turmeric, just because it’s awesome for you and adds great flavor. I also added 1/2 cup of water, because a little liquid makes the blender work better. Had I thought about it at the time, I maybe would have used some water and some lime or lemon juice, so maybe you can do that, and tell me how it goes. Then blend away, until it’s smooth! Ta-da! 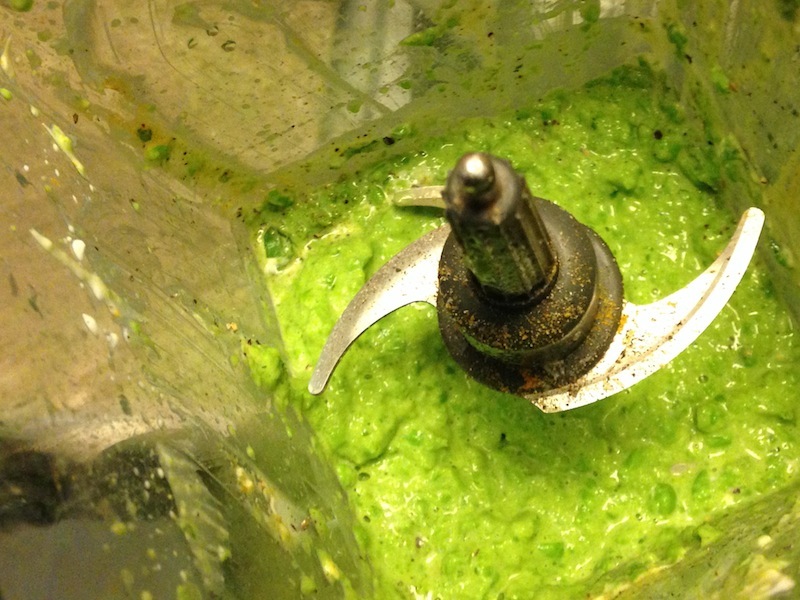 Minty Pea Dip! It was the perfect centerpiece for my jicama platter. It’s creamy and the mint makes it really bright and fresh. 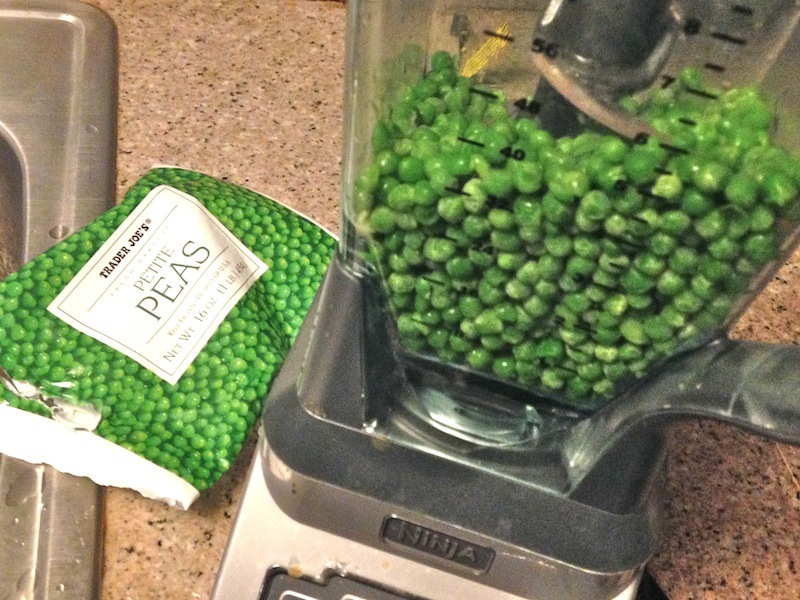 It’s also packed with pea flavor, so if you don’t like peas, this might not be the recipe for you. But if you like peas, then dig in! It’s super low in calories, fat-free, and delicious. Plus, it makes a lot of dip. I took more than enough to the party I went to, and still had a good-sized container of leftover dip in my fridge. 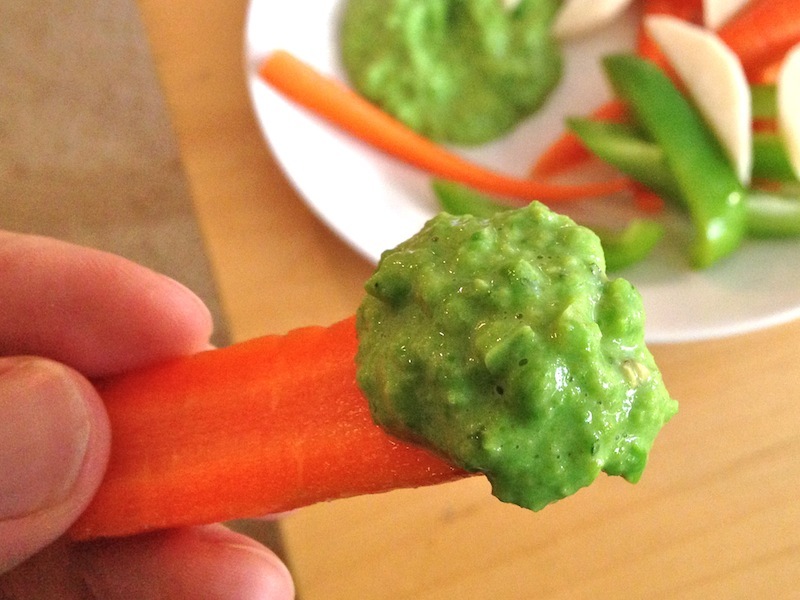 So I got to snack on extra dip for the next few days – and it goes well with all veggies! Gotta love the color, too! Nothing screams ‘healthy eating’ like the color green! This entry was posted on Friday, February 20th, 2015 at 2:51 am and is filed under Uncategorized. You can follow any responses to this entry through the RSS 2.0 feed. You can leave a response, or trackback from your own site.